There’s No Gnews Like Godzilla Gnews. 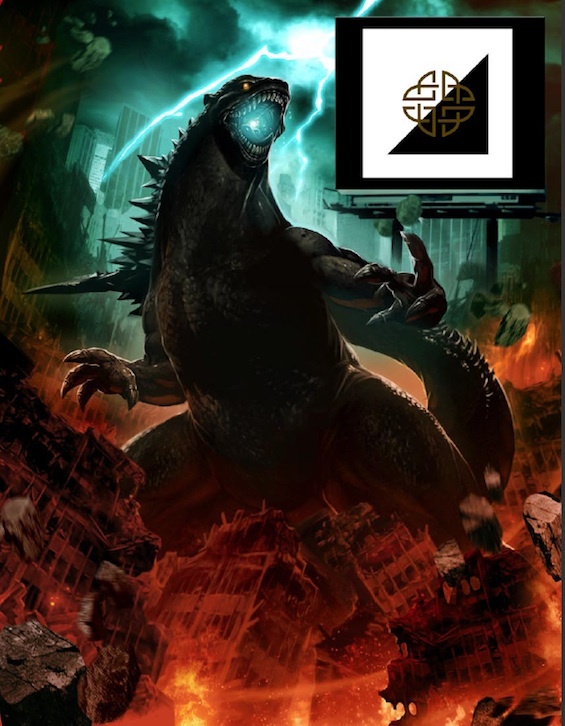 Zennie62.com has a video discussion with Brian Rogers, a producer on Legendary Pictures’ now-in-development GODZILLA film. It’s an interesting chat which discusses how this new (Americanized) GODZILLA project evolved from its beginnings as an IMAX 3D picture, and looks at how the folks at Legendary seem to be approaching the monster in contrast to Roland Emmerich’s 1998 enterprise. ** They’re taking more of a BATMAN BEGINS/DARK KNIGHT approach to re-developing the GODZILLA lore (by implication – much of GODZILLA’s concept will remain essentially what we saw in the “classic” mythos, but with some tweaking and nudging to get it to a loftier place . This is quite unlike the approach taken when Sony Americanized Godzilla back in the 90s). ** Current plans are for Godzilla to fight one, or more, monster opponents in the new movie. I’m really looking forward to it for now. It really all depends on the writer and director. Although personally I’m so tired of how all these new genre movies are gonna have a Batman Begins/Dark Knight approach. They’re good movies but it doesn’t mean everything has to copy that.